Suryalakshmi Cotton started as a spinning mill manufacturing yarn and textile cloth in the year 1962. 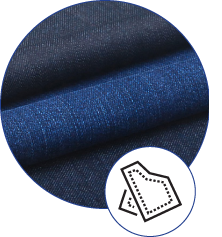 Since the past two decades, Suryalakshmi Cotton has been providing end-to-end denim solutions including premium yarn, denim fabric and garments to fashion markets in 29 countries across the globe. With nearly two decades of denim experience, Suryalakshmi Cotton has pioneered innovations in denim manufacturing, gaining an edge in domestic and global markets. Innovation, quality and consistency are at the core of our solutions. Innovating across denim design, materials and manufacturing, we have been bringing game-changing denim solutions to market with speed and agility. We understand, assimilate and absorb global and localized country-led fashion trends to deliver tailor-made solutions for buyers’ needs and fast fashion requirements. 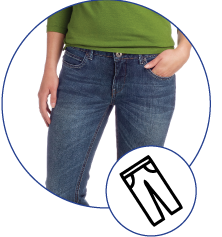 Quality is built in our products across the denim manufacturing life cycle. 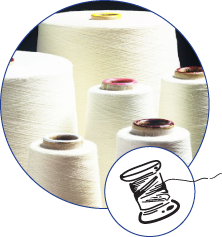 From yarns that achieve quality levels of Uster 5% to garments with AQL 1.5%, our product superiority and excellence are hallmarks of our brand. Our quality management system ensures compliance with global quality standards and helps us create value for our customers. Our manufacturing facilities are regularly inspected for global quality standards and safety practices by customer teams across the globe. Regular audits and verification by independent certification bodies prove our conformance to quality standards, ISO norms, laws and regulatory requirements.